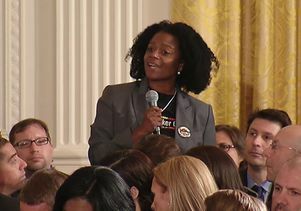 Lola Smallwood Cuevas tells President Obama about the work of UCLA's Los Angeles Black Worker Center, which she founded. 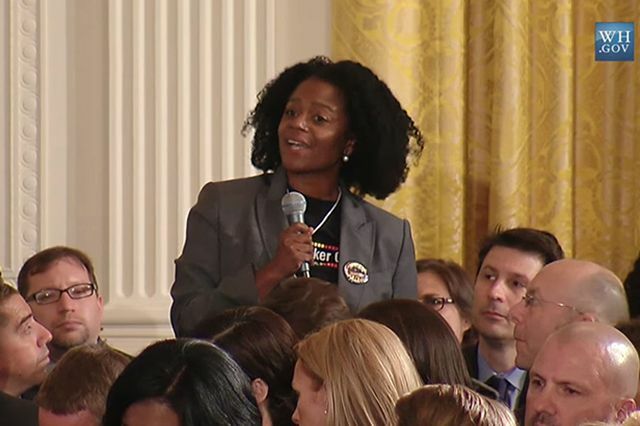 When the White House and the U.S. Department of Labor brought together workers, labor leaders, advocates, forward-leaning employers, members of Congress and others to the first-ever White House Worker Voice Summit on Oct. 7, UCLA’s Lola Smallwood Cuevas was among them. 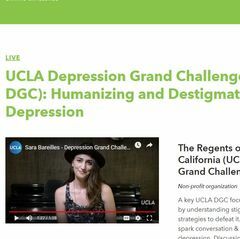 Lola Smallwood Cuevas, founder of UCLA’s Los Angeles Black Worker Center and project director of the UCLA Labor Center.